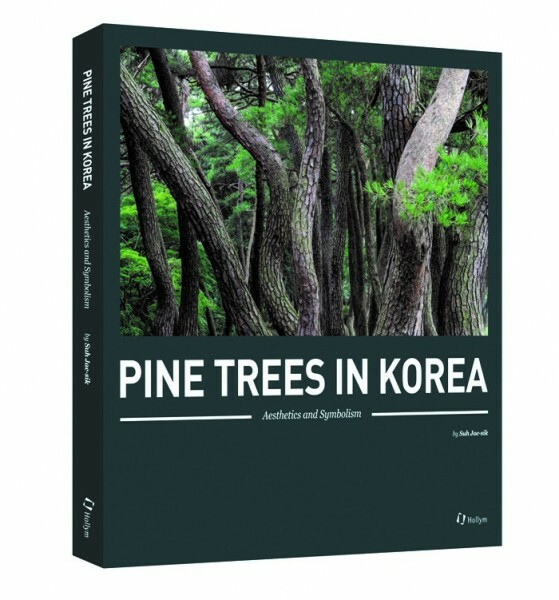 Produktinformationen "Pine Trees in Korea"
Lush pine forests can be found throughout the Korean peninsula as the pine tree has successfully adapted to its natural environment over thousands of years. The evergreen pine forests have a different ambience and beauty from one region to another, from one season to the next, adding a unique charm to the landscape. They also look different depending on the animals and plants sharing their habitats. Taking root on solid rocks and staying green even through snowstorms, the pine tree not only symbolizes Korea’s natural landscape but the resilient spirit and character of the people, who have maintained their national identity despite many foreign invasions and adversities. Since time immemorial, pine trees have been faithful companions of Koreans throughout their lives. Traditionally, Koreans were born in houses built mostly of pine wood and lived in them till they died and were buried in pine wood coffins. As their branches are easily twisted or knotted, pine trees need careful pruning as they grow, just as babies need consistent care from their parents. Mature pine trees yield cones and spread pollen on the wind just as humans reproduce through encounters following their individual destinies. The trees thus produce offspring and grow old, their bark turning as tough as an old man’s skin with deep furrows and folds. Then after death, they return back to the earth. Sometimes stretching straight up toward the sky, sometimes twisted and curved with gnarled branches, pine trees are beautiful objects on their own. Over the ages they have also had a significant influence on the lives of Koreans from birth to death, as material for houses and coffins and everyday articles including furniture as well as an ingredient for food. Thanks to its symbolic and aesthetic value, the pine tree has been taken as a motif for numerous works of literature and art as well as legends and folk tales. Suh Jae-sik is a documentary photographer who is devoted to introducing the beauty of Korea abroad. He has won many awards, including the culture and tourism minister’s prize in a photography contest sponsored by the Korea Tourism Organization. He has worked as photo editor of major photography magazines such as Korea and Seoul, and has published a number of photo essays including The Beauty of Korea, Hanok, Taekwondo, The Beauty of Seoul, World Heritage in Korea, and Korean Patterns. Weiterführende Links zu "Pine Trees in Korea"
Unser Kommentar zu "Pine Trees in Korea"
Kundenbewertungen für "Pine Trees in Korea"